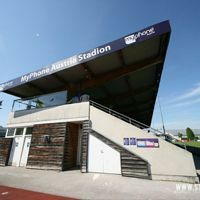 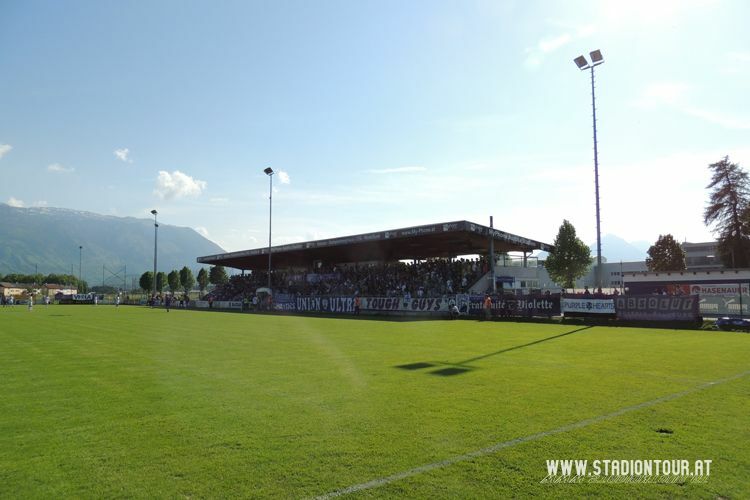 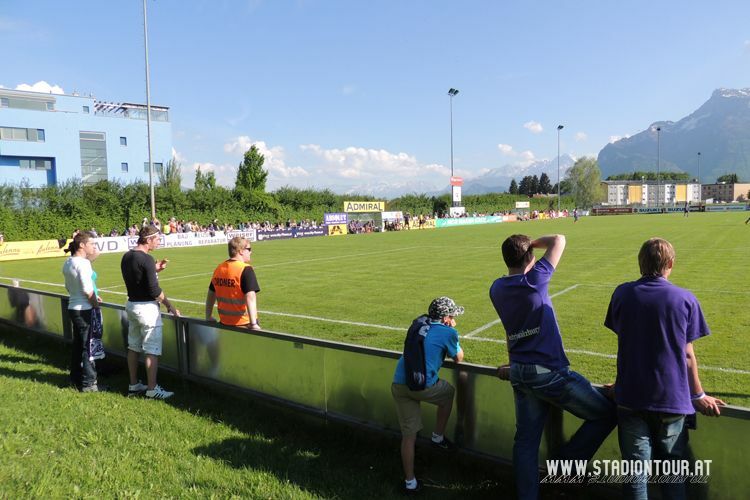 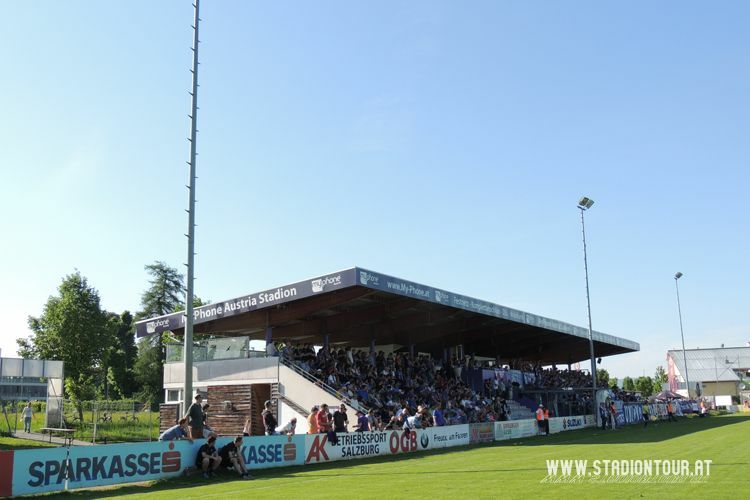 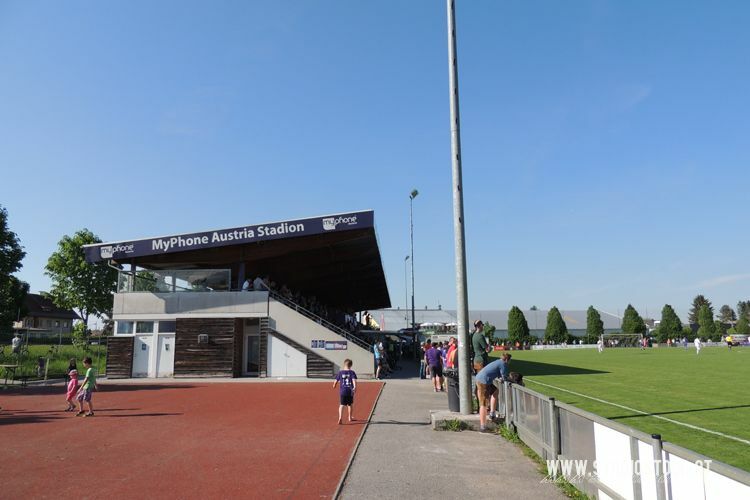 This stadium in western district of Maxglan became a popular destination in 2007, when supporter-reactivated club Austria Salzburg moved here to fight for their promotion back to the Austrian Bundesliga. 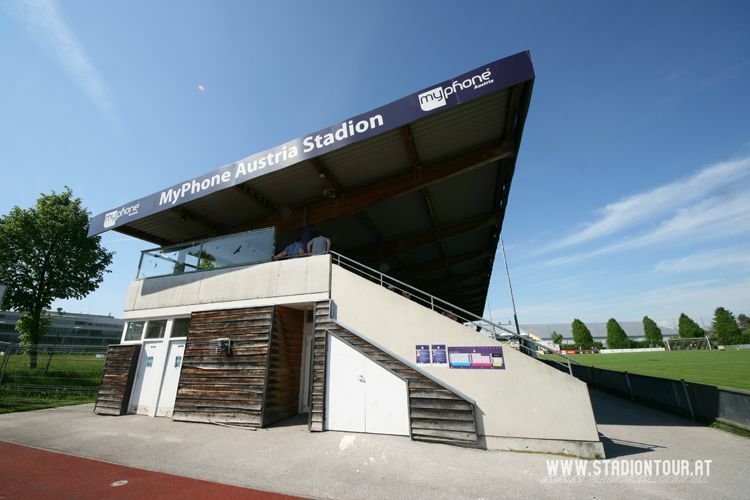 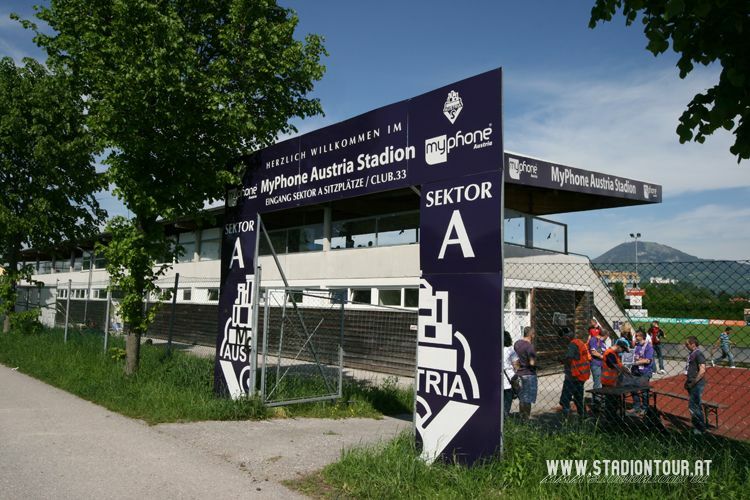 The ground was renamed Austria Stadion, soon joined by the sponsored phrase MyPhone. 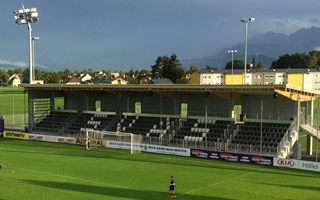 Today the stadium has one covered stand, divided 50/50 between seated fans (south-western side) and standing, more vocal supporters (north-western). 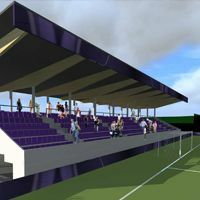 In case of demand people may also stand behind northern end and eastern side’s fences. 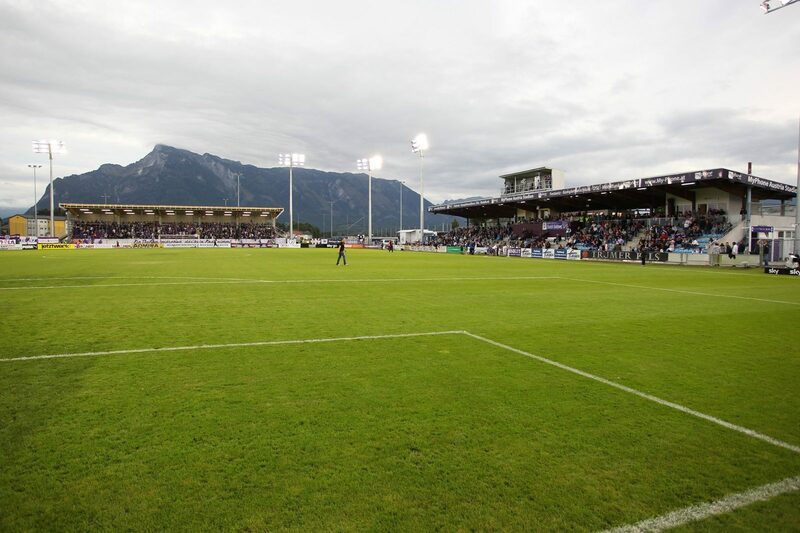 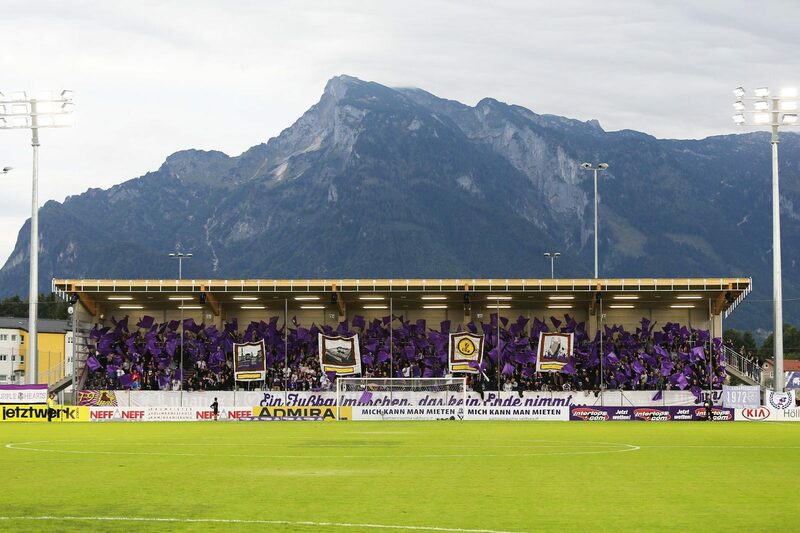 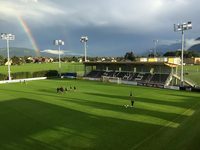 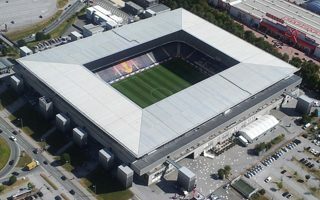 With Austria’s march upwards, the stadium is thought to be only temporary home, however the club stayed here when they won promotion to Erste Liga. 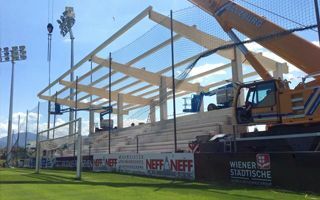 Floodlights were installed along with a brand new covered south stand for some 500 people. 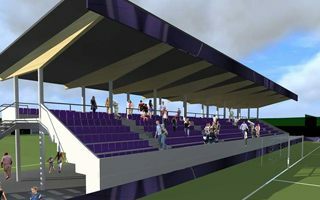 First they had to significantly upgrade their stadium. 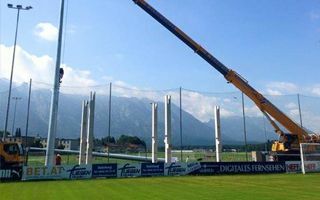 Then they had to find an alternative ground for high risk games. 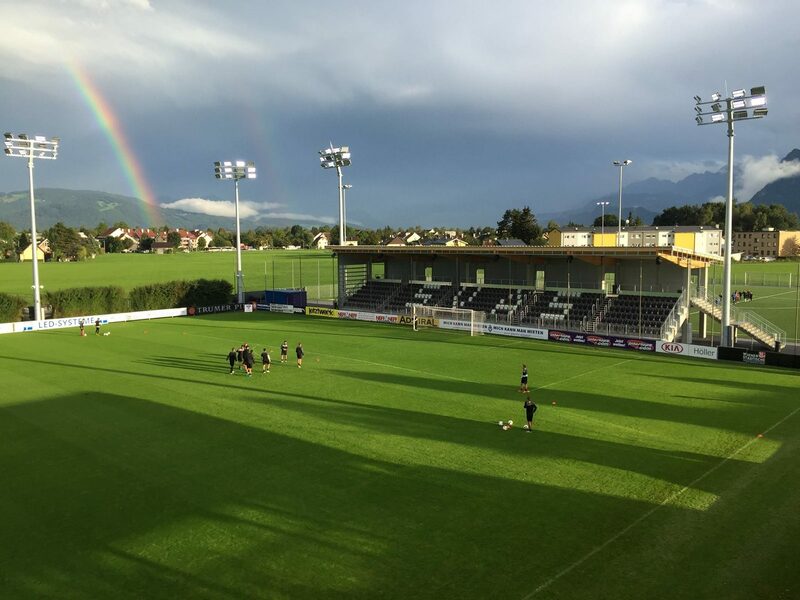 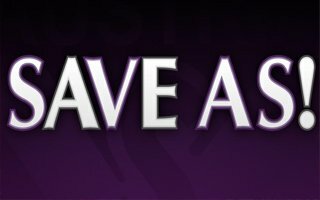 Now Austria are on the edge of collapsing financially and appeal to everyone for support.